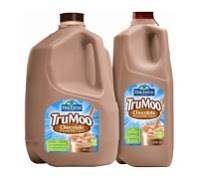 TruMoo is offering a $0.55/1 TruMoo Half Gallon Chocolate Milk coupon on its site. (Some regions may only receive a $0.35/1 coupon depending on your zip code. The zip code 30705 is a $0.55 coupon). TruMoo is sold at Target and other stores. This is a Smartsource coupon so you should be able to print it twice.